Alison's musical interests began with the piano from the age of eight . She had lessons from the legendary 'Mrs Parsons' who would rap her over the knuckles when she heard wrong notes. Alison must have loved music a lot at this early age because she wasn't put off, although apparently she used to post the music down the back of the piano to be retrieved just in time for the next lesson. She learnt the oboe from the age of 12 years, much inspired by her teacher Tony Aspden who was a formidable but great teacher. Music and Art have always been central to her life. After studies at St. Albans School of Art and then Dartington College of Arts , Alison took a Teaching Diploma in music at the College of St. Mark and St John. Unable to control classes of disruptive teenagers, who were out of the room more often than they were in it, Alison opted for instrumental teaching . She subsequently taught the oboe for Leicestershire Schools for eleven years before training as a Music therapist. 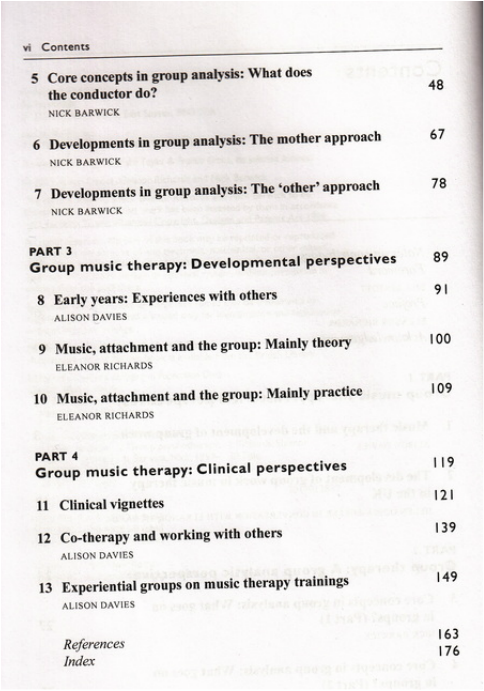 GROUP MUSIC THERAPY was published in November 2014. It was written in collaboration with Eleanor Richards and Nick Barwick. 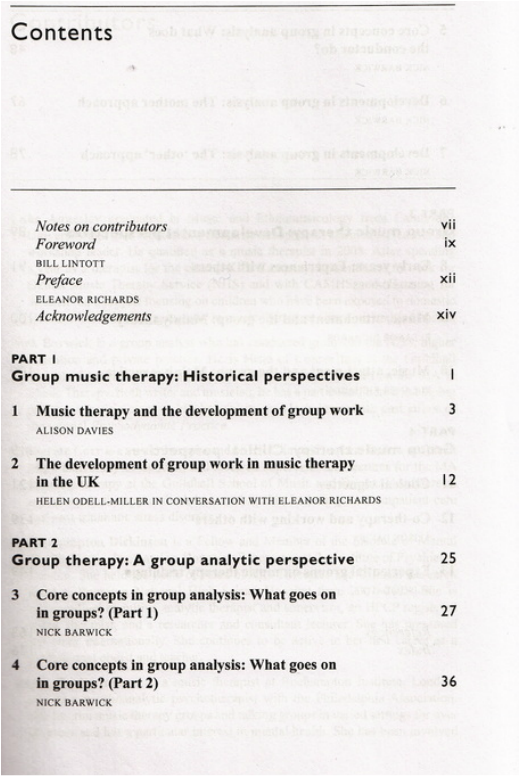 For Alison , this book has been the culmination of her work and interest in groups, particularly at the Guildhall School of Music, London, and Anglia Ruskin University Cambridge, where she worked with student groups for twelve years. 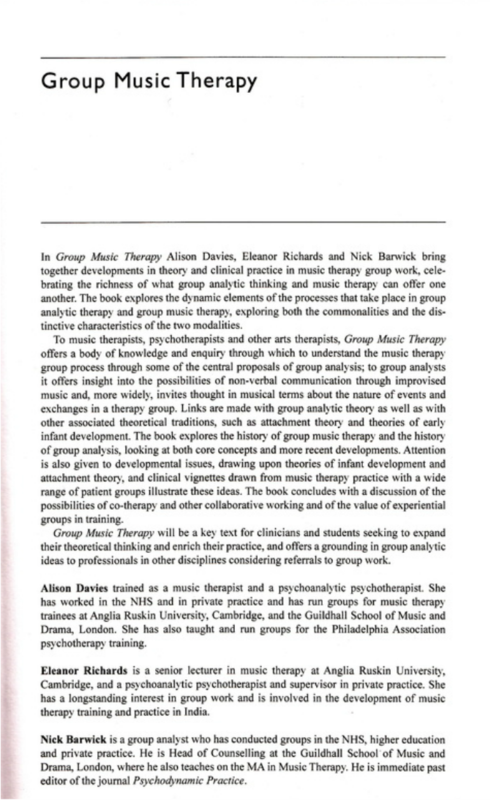 Her previous experience, after training at Roehampton Institute, London in the eighties, was as a music therapist in mental health at Fulbourn Hospital, Cambridge and as a group therapist at Cambridge Group Therapy Centre.